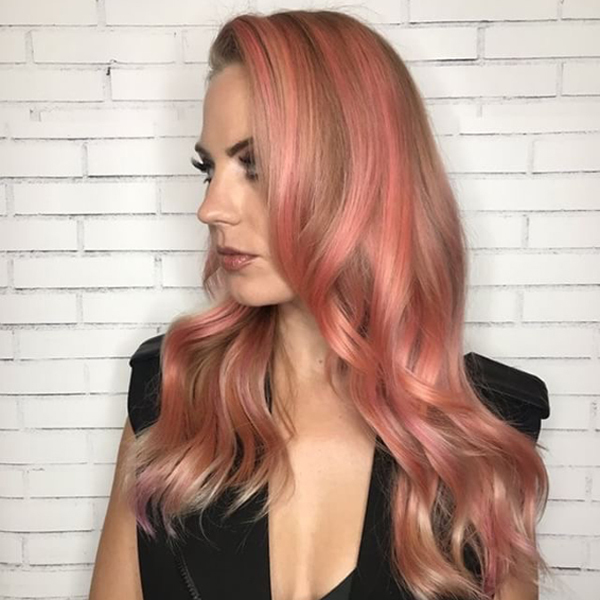 We love when Redken colorist Sean Godard (@seangodard) shares his cool color creations on Instagram, and when he drops some education along with his painting techniques and formulas we love it even more. Here are the steps, formulas and tools he used to create this ribbon-like rosé. 1. Balayage the hair using Formula A. Let process until hair reaches pale blonde. Then, rinse and dry the hair. 2. Once hair is dry, alternate applying Formulas B, C and D using diagonal-back sections. Then rinse, dry and style as desired. Pro Tio from Sean: When balayaging, a small detailing brush is necessary—and it absolutely MUST be clean and sharp. Don’t want to throw away your brush after each use? Try soaking it in hot water. Then, as it dries, place a clip on the top to hold the bristles together. This will keep your brushes sharper, longer!